Hi there, this will be my very very first time posting in the internet. I am so excited until I could not wait any longer for this first posting. You are welcome to comments and give suggestion to improve my blog. I want to share with you my whole life experience in cooking; especially exotic Johorean cooking, with you. I will start with a series of posting starting with rich verity of spices blend found abundance in South East Asia. I am planning to develop a niche product, where you can use to try my recipes. I want you to experience the cooking of exotic Johorean food in a simple and easy way. Did you know Johore is famous for its black papper. Johore location at the tips of Malaysia peninsular make the state a strategic place for trade and shipping . Under the ruling of the Sultanate of Johore, the state has become renowned spices supplier in the region of which attract many foreign trader the world over. Traders and merchant came to Johore to trade and exchange spices with goods such as textiles, ceramics, foods and other merchandise. 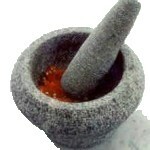 Johore is the place where economy and social activities enriching local cultures including the spices we use in cooking. In essence the spices you found in local Johorean Malay food came from many roots from Nusantara, India, Arab, Persian and Mediterranean. I will share with you my cooking experience focusing on simple cooking tips and many spices blend.